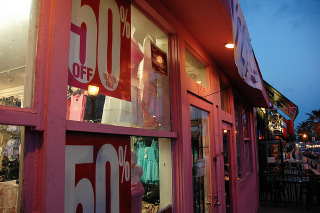 How Can Retail Stores Benefit from Window Graphics? Put your business brand on your windows! If you have a large storefront window that faces an area that gets heavy foot traffic or there are less flattering parts of your store that the public can see through your windows, you may want to consider retail store window graphics for Bend, OR. But, that is not all that window decals can help with. When you put these graphics to work for you, there are several objectives you can achieve at a low cost. Read on to learn ways to use these marketing tools. Wouldn’t it be nice if shoppers would automatically think of your business any time they are in need of your products? This is essentially the goal of branding. You building your brand awareness when you use a variety of methods to get your name and logo in front of as many people as you can. Window graphics are one way to do this. Vinyl stickers can be used to replicate your organization’s colors, logo, and font. Customers need to know when your store will be open and how they can get in touch with you. This is especially true if you offer your goods on the internet. Window lettering on your glass doors highlight your hours of operation as well as your web address. 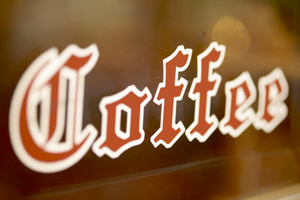 Give the outside of your store a facelift by adding window graphics. Vinyl window perf is a smart alternative if you need to hide display shelves or unsightly storage areas near your windows. When you go with this solution, you can display various messages and images while still allowing natural light in. Are there certain items that you sell that seem to just fly off the shelves? When you have these products in stock, you should let consumers know. This will reel in impulse shoppers and boost your profits. Also, if you have an upcoming sales event, you need to let consumers know about the deep discounts they can expect to find. 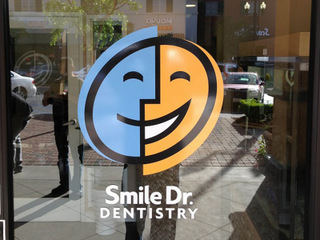 Window graphics for Bend OR retail stores are an excellent way to do this. Let them know what you sell! Two of the most important times of the year for retailers is back to school shopping and the holidays. When retail stores are successful during these sales periods, they often finish in the black for the year. You can entice shoppers to reach for their wallets by using season appropriate decals on your windows. When you get your graphics up early enough, you will reach the early bird consumers as well as the procrastinators. Blue Barrel Signs is confident we can make your retail store look great with window graphics. We will listen to your budget and needs during an initial consultation and come up with recommendations based on your vision. Once you are happy with the proofs, we will print and install your new decals. To get started, contact us today for a free consultation and quote on window graphics.